Last year Diss Museum showed the Somme film with a piano accompaniment. 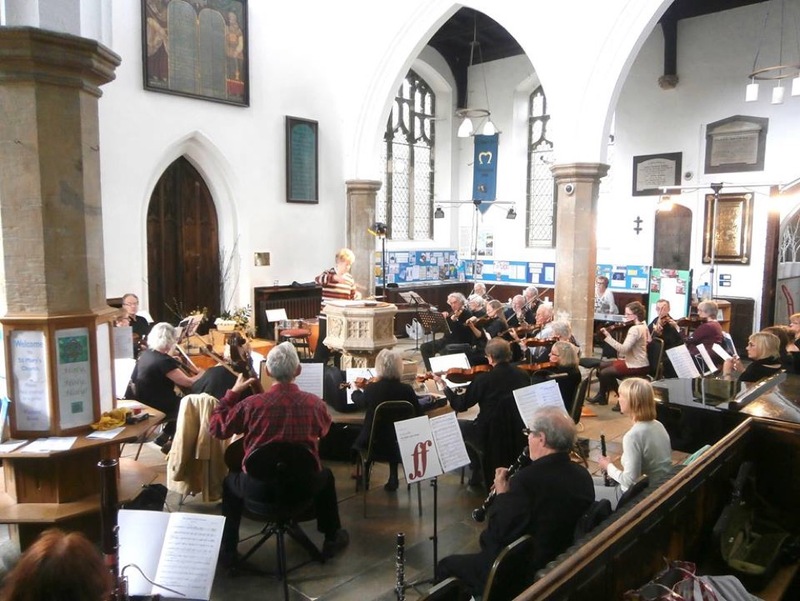 This time, at Diss church, it was the turn of the Pulham Orchestra to play the new score by Laura Rossi. When the film was made in 1916 it was seen by twenty million people, a record not broken until Star Wars. The film was propaganda, showing military life but giving no impression of the disaster of the battle. It took an act of imagination on the part of a modern audience to see the film with the eyes of 1916. But they were helped by the stunning playing of the Pulham Orchestra at the back of the church. Conductor Margery Baker used the font as a stand. 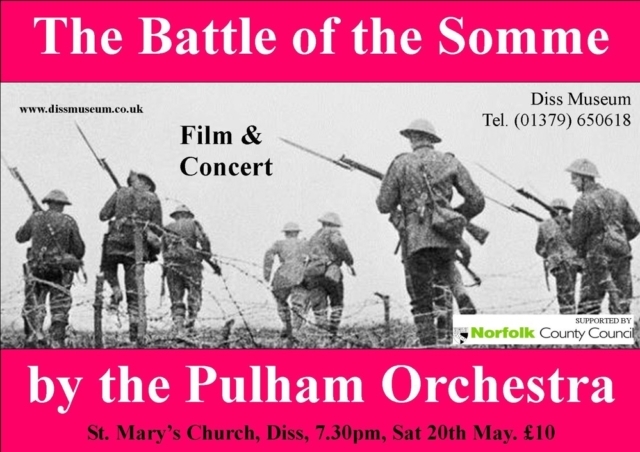 Several people said that at times they forgot the orchestra were there, as the music seemed just part of the film. 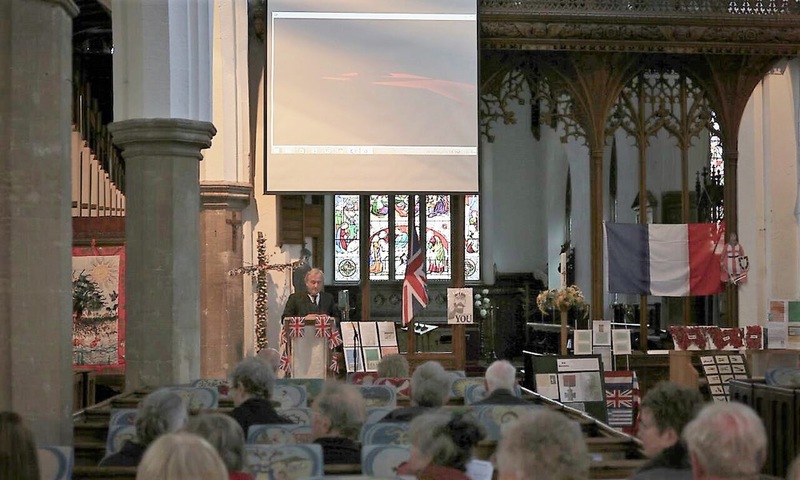 Cheery marching soldiers, the thunder of the guns, poignant moments – all were depicted with style and distinction.